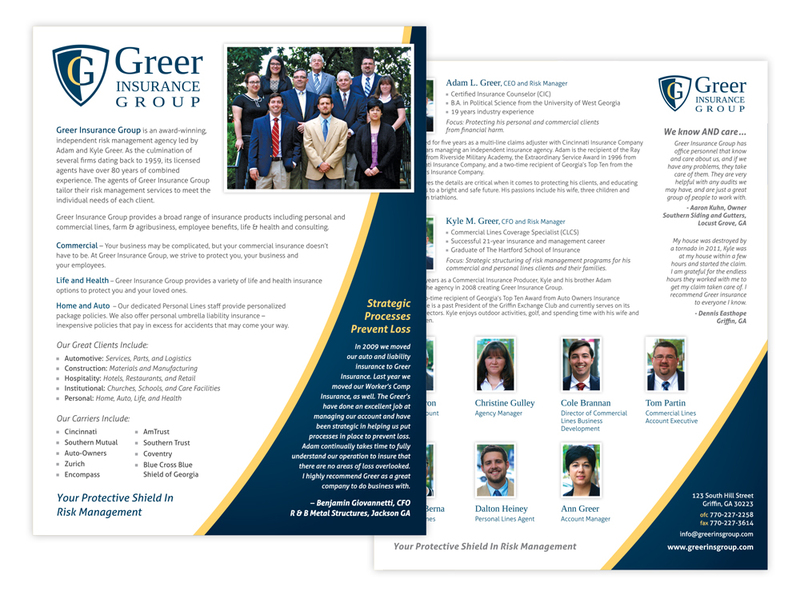 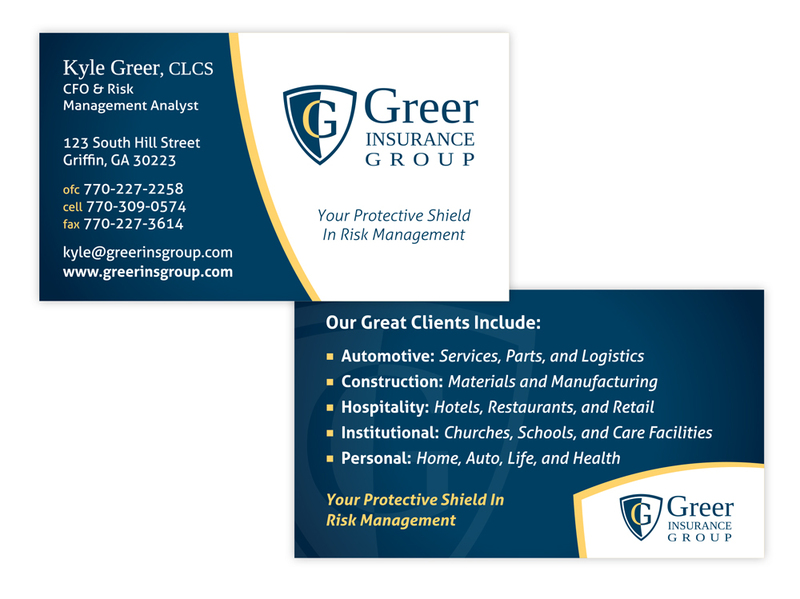 Greer Insurance Group needed an updated, contemporary logo that expressed traditional service, and the theme of “protection.” The shield was their classic logo. 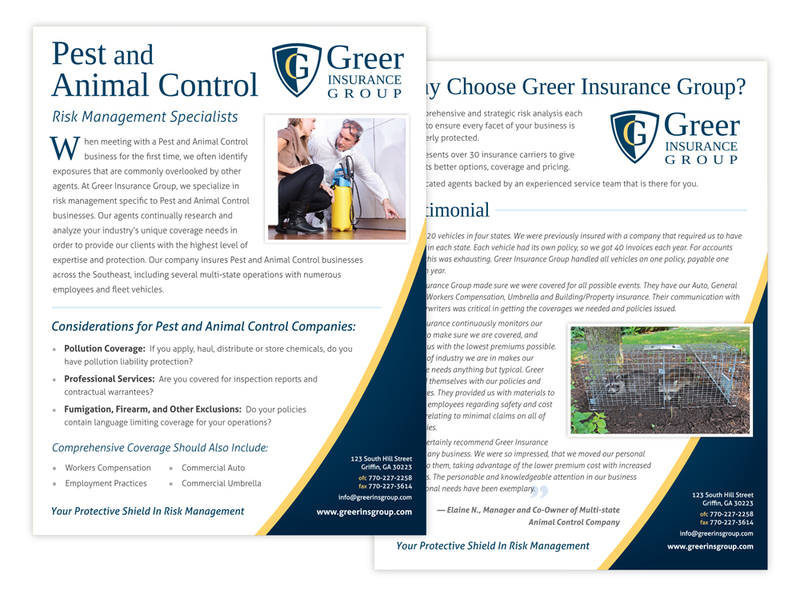 Dirt1x updated it and added a touch of yellow. 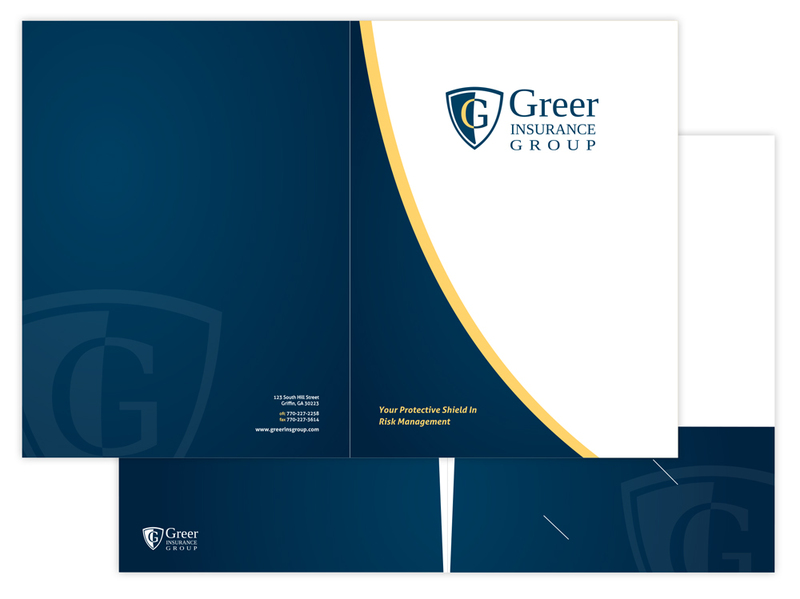 Dirt1x designed and printed pocket folders, and flyer inserts, as well as business cards for the staff at this Griffin insurance agency.